Looking for a designer full of whimsy and grace? Look no further. Anna Maria Horner has you covered. 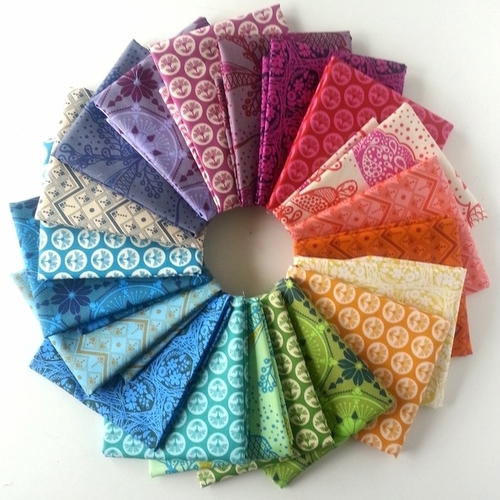 Her Fibs and Fables collection is filled with the love of vintage with fairytale. 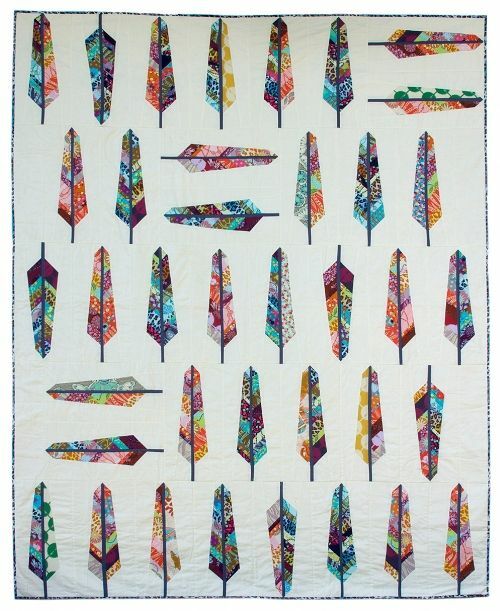 Check out this feather bed quilt pattern using Anna Maria Horner fabrics. 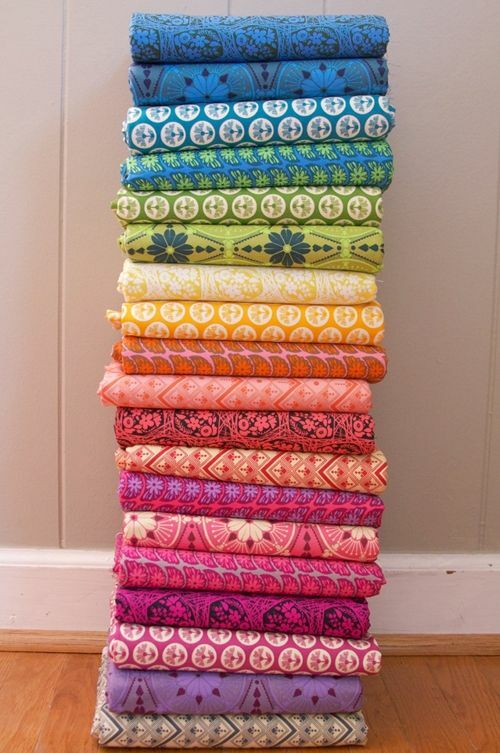 Here is a FREE tutorial using Folk Song fabrics from Anna Maria Horner. Aubrey founded Southern Fabric in 2004. Since then she has fallen in love with fabric. 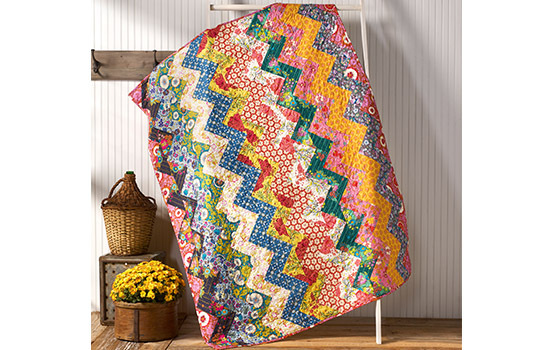 She enjoys taking on new sewing projects, helping others with their projects, and coming up with new innovative ways to make quilting easier. When she is not chasing her four little kids around the house, she likes spending time at the quilt shop where she gets her inspiration. 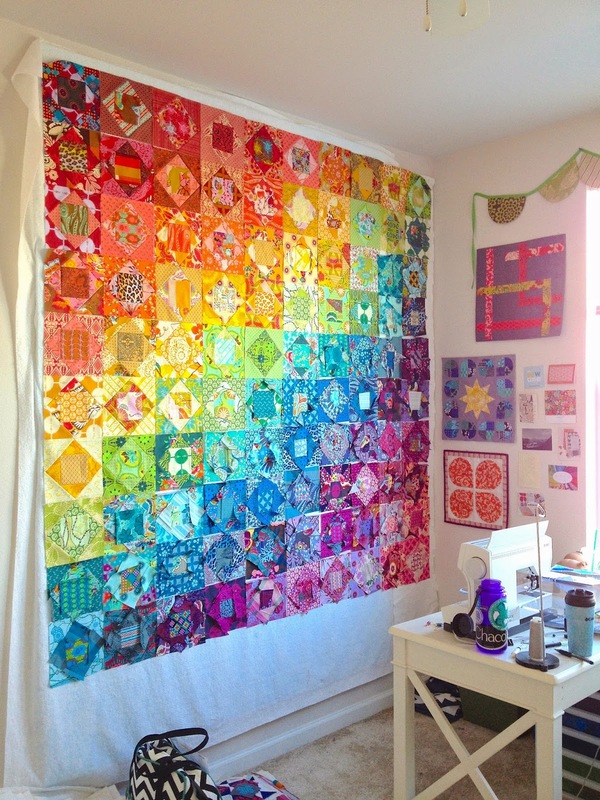 She feels so blessed to have the best workers in her little quilt shop. 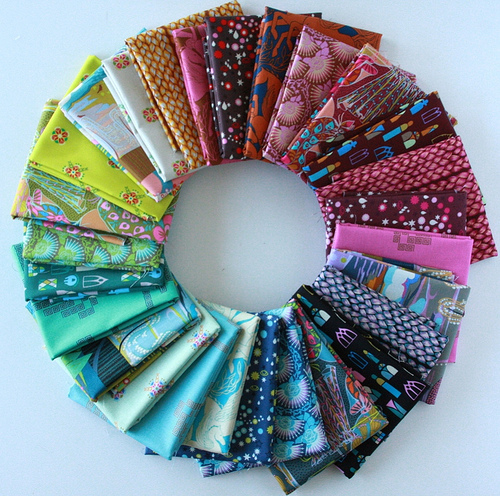 Southern Fabric is truly the friendliest little quilt shop on the web. you have fabrics pictures but when i go to purchase all of them there not on your web page? What a beautiful collection! It’s breath-taking!